Summary: Divided by day and night and on the run from authorities, star-crossed young lovers unearth a sinister conspiracy in this compelling romantic thriller. Seventeen-year-old Soleil Le Coeur is a Smudge—a night dweller prohibited by law from going out during the day. 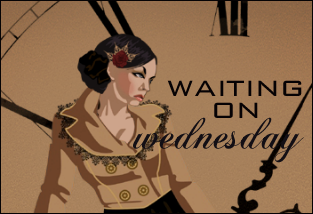 When she fakes an injury in order to get access to and kidnap her newborn niece—a day dweller, or Ray—she sets in motion a fast-paced adventure that will bring her into conflict with the powerful lawmakers who order her world, and draw her together with the boy she was destined to fall in love with, but who is also a Ray. 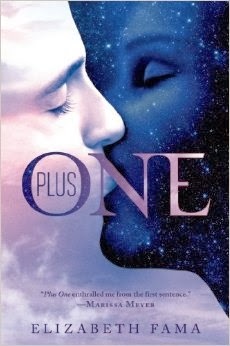 Set in a vivid alternate reality and peopled with complex, deeply human characters on both sides of the day-night divide, Plus One is a brilliantly imagined drama of individual liberty and civil rights, and a fast-paced romantic adventure story. Summary: In this inventive romantic thriller, Del has the power to navigate between alternate realities—and the power to save multiple worlds. Delancey knows for sure that there is more than one universe. Many more. Because every time someone makes a choice, a new, parallel world is spun off the existing one. Eating breakfast or skipping it, turning left instead of right, sneaking out instead of staying in bed—all of these choices create alternate universes in which echo selves take the roads not traveled. Del knows all of this because she’s a Walker, someone who can navigate between the worlds, and whose job is to keep the dimensions in harmony. But Del’s decisions have consequences too. Even though she’s forbidden from Walking after a training session goes horribly wrong, she secretly starts to investigate other dissonant worlds. She’s particularly intrigued by the echo versions of Simon Lane, a guy who won’t give her the time of day in the main world, but whose alternate selves are uniquely interested. But falling for Simon draws Del closer to a truth that the Council of Walkers is trying to hide—a secret that threatens the fate of the entire multiverse. 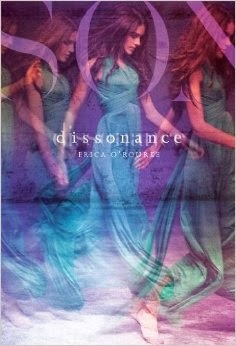 What are your thoughts on Plus One and Dissonance? Green World is a company that develops healthcare products made from herbs and International level. Already circulating in more than 20 countries worldwide and has been recognized by the population. A lot of products that you can choose according to what you need. Some products such as Hepatsure Capsule are useful as guardians of the health of the liver and treat various types of diseases that attack it. Then the second one there Ginkgo Biloba Plus Capsule, a drug which is efficacious at all because it is made from extracts of ginkgo biloba in which these materials have a lot of people who know all his properties. Triflex Capsule Segalam drug used to treat different types of disorders in the joints and bones. Chitosan Capsule Drugs that can treat cancer and tumors is made from chitosan which are in shrimp, crab and lobster. Lastly is Glucoberry & Glucocoa is a beauty supplement in the form of juice that can be used by women to overcome the problem of pimples, blackheads, dark spots, wrinkles and other complaints.